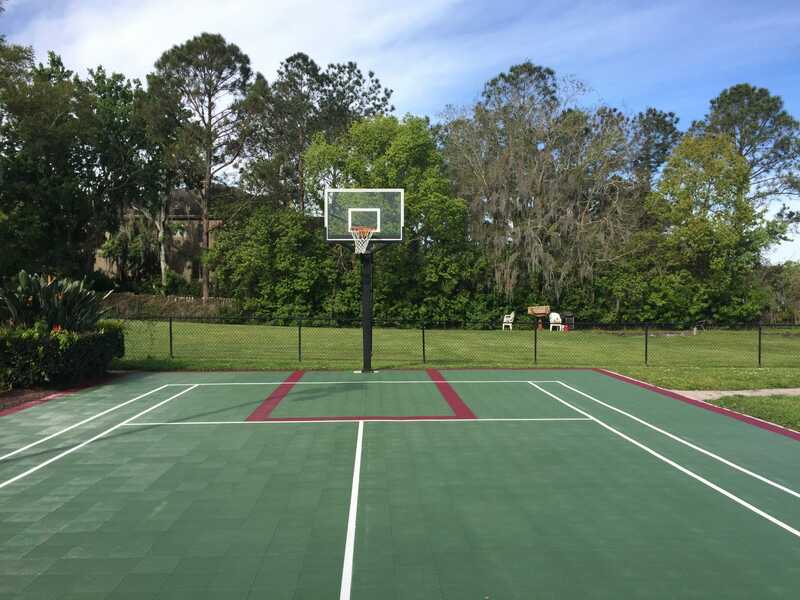 We have recently received a fantastic case study from a customer that used Polytrol to revive their 19 year old sport court. 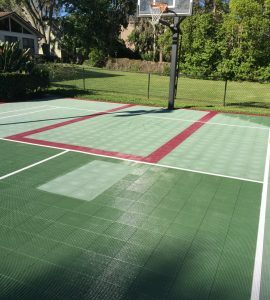 Riley had a sport court that had been sun bleached by UV rays and damaged from dirt and pollution. They asked for a quote from a flooring specialist and they quoted over $6,000 to treat it. At that price, as you can imagine, Riley decided to look elsewhere for another option. They then found Owatrol Polytrol. They decided to try Owatrol Polytrol, a product that restores the original color and appearance of dull or tarnished plastics, gelcoats, metals and other surfaces. It penetrates the surface, re-wetting the pigments to restore their luster and color which has been lost through exposure to sunlight, rain and pollution. It is fast acting, easy to apply and can used on both horizontal and vertical surfaces. 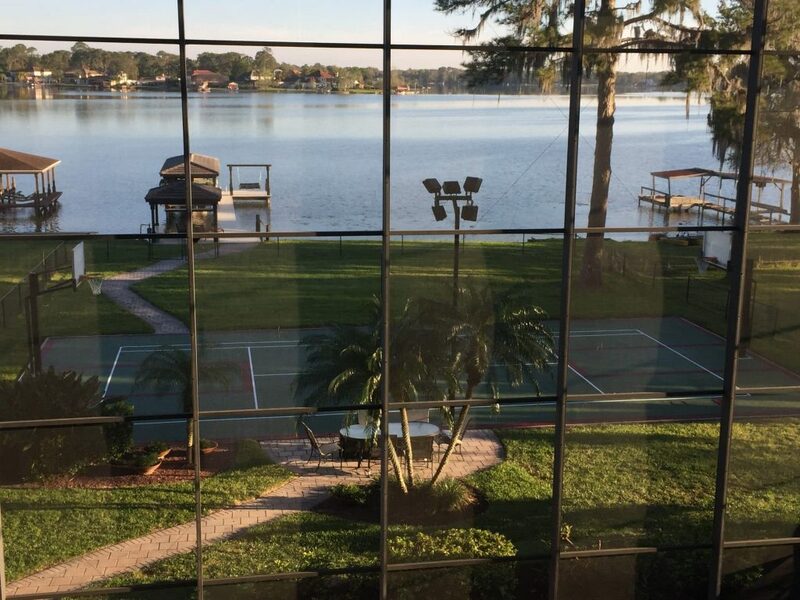 Our Sport Court is 19 years old and, according to the local Sport Court rep, the oldest court in Central Florida still owned by the original owner. It looks like brand new. I absolutely 100% recommend Polytrol for a project like this. 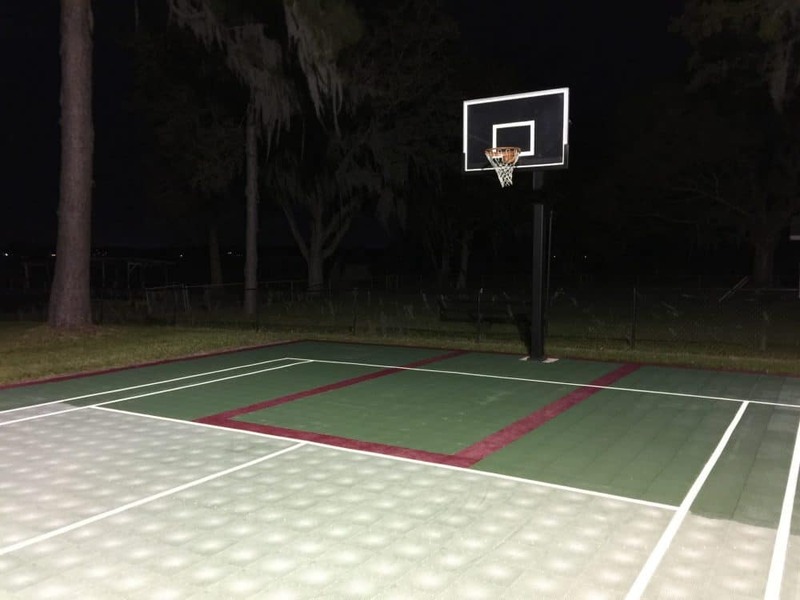 Sport Court quoted us over $6,000 to treat the court. I applied the Polytrol and did the entire project for about 10% of the quoted price. I guarantee it turned out better than it would have with Sport Court doing the work. 5 stars across the board and highly recommended! 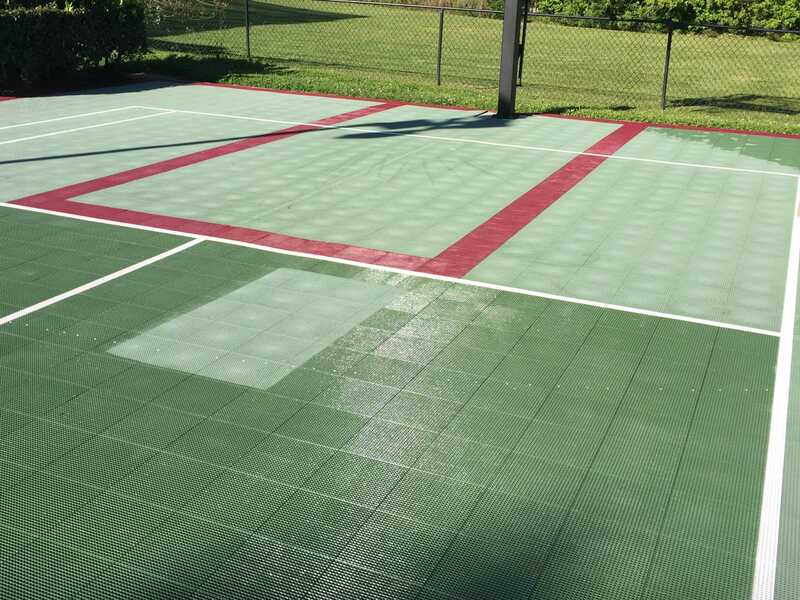 As you can see, the before and after shots show the difference that Polytrol has made to the sport court. The once dry and grey looking surface has now been restored back to being green and vibrant. Clean the surface with warm soapy water or Net-Trol. Then, rinse thoroughly and allow it to dry for a minimum of 24 hours depending on surface. Apply Polytrol liberally to the surface and allow it to work for 10 – 20 mins. If the surface absorbs the Polytrol unevenly (i.e. some matte and some shiny patches) move any surplus oil from shiny areas to matte areas. Wipe off any excess Polytrol with a lint free cloth before it becomes tacky. For a shinier finish, buff the surface with a lint-free polishing cloth. For more information about application, please refer to the Polytrol product page, here. We are very happy that Riley was so happy with the results. We wish you many more happy years using your sport court! For more information on how Polytrol can help you with your next project, please click here.